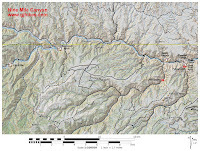 First Site is a location in the BLM managed Nine Mile Canyon northeast of Wellington, Utah. A 40 mile section of the 78 mile long canyon contains an abundant collection petroglyphs, pictographs and archaeological sites left from Archaic, Fremont, Ute, U.S. Calvary and early explorers. The canyon has been referred to as the 'world's longest art gallery' with the greatest abundance of well preserved rock art in the west. If that statement reflects any embellishment by local enthusiasts it isn't by much. To get to Nine Mile Canyon turn north at Walker's Chevron on the outskirts of Wellington east of town. You might also be able to pick up a Nine Mile Canyon brochure inside the store. If you haven't been to Nine Mile Canyon in awhile you will be pleasantly surprised. The pavement used to stop after the first 13 miles leaving about 40 miles of washboardy graveled road. To placate those that thought all the dust was causing damage to the sites the oil companies paved the road. It is about 26 miles from the turnoff on Highway 191 to the pullout for the First Site. The rock art panels are across the road from the parking area. 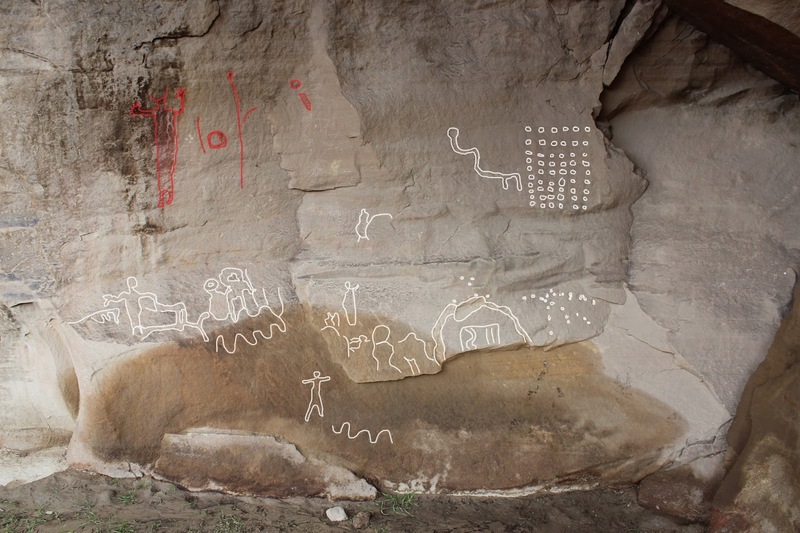 At the First Site you will find both pictographs and petroglyphs. Besides the red pictographs if you look closely you may be able to also see some orange. Some of the images are very faded while others are holding up quite well. Be sure to look up so you don't miss anything. As you leave the First Site be sure to keep an eye on the cliffs because there are also a few good panels like this one along the road between the First Site and Balanced Rock which is the second site. 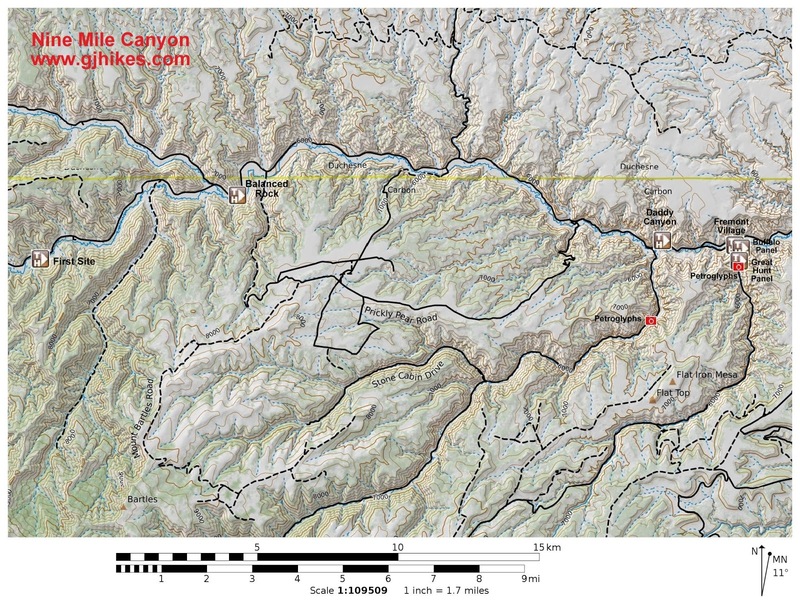 The only camping in Nine Mile Canyon is at the Nine Mile Ranch. There are several day use places with picnic tables and restrooms. If you would like to see it for yourself then all you have to do is 'Take a hike'.